Chronology: the age of 8 years, growing up in India, I enjoyed school as much as playing different village sports, which was rough and at times tough and challenging. There was no expectation of the outcome, it was always full of fun and we played for the sake of play only and natural and the ultimate outcome was tremendous joy, sharing, laughter and jumping or just sweating, bragging, sitting in silence or singing as a reward. We never knew the word peace; either inner, outer or universal, but now I know it was there! After school was over, we 3 or 4 friends would rush home, leave our school bags, drink or gulp as much water as we could and as quickly as possible. Then we would grab a little salt or cayenne pepper powder according to what we had mutually decided upon and put them in a piece of old paper and just like that, we were gone with the wind, running at top speed to the one old huge banyan tree, on the outskirts of the village. It was surrounded by farms but did not belong to any of them but was on the side of the road on the “no man's land area!” The nickname of that banyan tree among us participating friends was " Kandoi" or savory - fast food - seller! The reason was because in most of the seasons, it had very delicious red fruits like CHERRIES. It tasted real yummy to us all, as it was mixture of our many favorite tastes. As soon as we arrived under the tree and all who, were programed to be there, were present, counted by our finger or head count, we would all rush to climb that huge tree trunk like little wild monkeys and go to different branches of that old banyan tree. We would pick the somewhat ripe berries depending on our appetites, understanding and requirements of the day and fill up our shorts' pockets. Then we would climb down and jump from different branches of the tree, but not higher than 12-15 feet. Then we emptied our pockets of berries and bring out also the paper packets of salt and cayenne pepper powder. And then you jolly well know what happens next with these hungry little souls/wolves! We open the berries in half and if we find little creatures crawling inside with the seeds we would quickly throw them far away from our dining zone. However, in the good opened halves we would clear the seeds and put our treasured condiments of spices of salt and pungent taste inside. Did you find any need of any learning or attending any seminar to search for PEACE - Inner or Outer - in the above real life episode of childhood? So simple is the message "Just be child-like " and forget all the jargon about inner or outer peace. Peace is the result of living in this - "VERY MOMENT" - Here and Now and nowhere else. Stop all theory and search of it and you will surely experience it " within " without any exception and without any doubt. As it is the result of living naturally and so Nature Blesses us as a part and parcel of IT/Whole! We are One! Rest continues, whenever time allows and it will happen in the next episode of Chronology!! 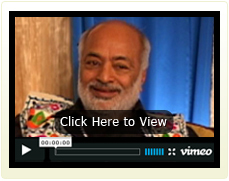 Swami Anand Krishna (dr. gokul gokani) Dr. Gokul Gokani is retired E. N. T. Surgeon, who has worked in England, India and Africa and has lived in Ashland since 1999. Born in India, he shares the experience of Mediation with fellow travelers, is a Reiki Master, Ayurveda counselor, healer and spiritual counselor. Powered by: Technigent Software Solutions Pvt.Ltd.